Indian Ambassador to Vietnam Parvathaneni Harish led a delegation to the Mekong Delta province of Soc Trang on February 21 to learn about investment opportunities in the locality. 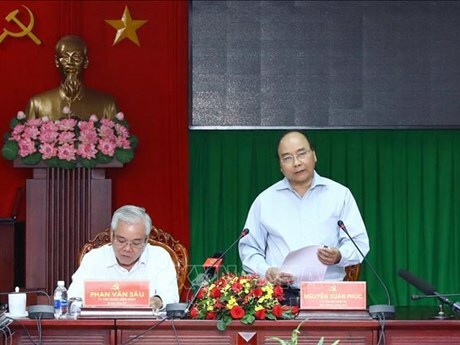 The Vietnam Fatherland Front (VFF) Committee of the Mekong Delta province of Soc Trang mobilized nearly 34.5 billion VND (1.48 million USD) for the poor last year, 300 percent of its yearly target. Soc Trang province reported that it has achieved outstanding results in conserving fisheries resources by effectively preventing the use of banned fishing methods and increasing public awareness of the need for protecting fish stocks. An Hiep, a poor commune in Chau Thanh district, the Mekong Delta province of Soc Trang, with 66 percent of its population being Khmer ethnic minority people, has become the third commune of Chau Thanh to be recognised as a new-style rural area.